In a combination of a horror game and light-gun game, Resident Evil: Dead Aim puts you on a cruise ship infested with zombies. You start off as Bruce McGivern, a US government agent sent to stop Morpheus D. Duvall from spreading the zombie T-virus any further. Along the way you'll run into Fongling, a Chinese government agent who is aboard the cruise ship for the same reason, and you'll also end up playing as her. All you really need to know is that there are zombies and you have to kill them. 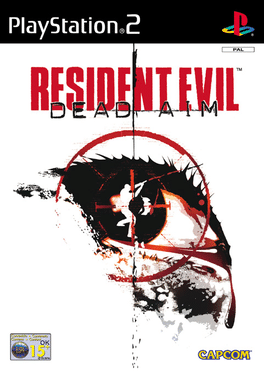 You'll pick up several different guns through the course of the game, including a magnum, a shotgun, and an assault rifle, but like in other Resident Evil games, zombies are difficult to put down permanently, and ammo can be very scarce.